Rasa Leela is a sacred form of dance which is referred to as the' dance of love'. Scroll down and know all about the Rasa Leela ofKrishna and his Gopis. According to the legends associated with lord Krishna, one night, Gopis enchanted by the sweet sound of Krishna's flute at night, left their homes and joined him where they danced all night and thus the tradition of Rasa Leela started. The Rasa Leela continued on the banks of the river Yamuna in Brindavan, till Krishna left for Mathura to kill the demon Kamsa. The Gopis, mesmerized by the divine presence of Lord Krishna, danced all night long. The term Rasa means 'sweet emotion/taste' and Leela means 'act'. Thus Rasa-Leela in combined form means a 'sweet act' of Krishna, referred to as the 'dance of love'. In Krishna Bhakti traditions, Rasa Leela is considered as an immensely sacred act which exemplifies the divine love of Lord Krishna in this mortal world. The theme of Rasa Leela has been extremely popular in traditional Indian dance forms like Odissi, Bharnatyam and Kochipudi. 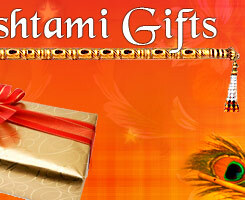 It has long been enacted in various parts of India during Janmashtami and Holi, especially in Vrindavan. In Manipuri Vaishnavism, Rasa Leela is enacted to portray the divine bond love between Lord Krishna and the Gopis. During the Leela, the Gopis dance around Lord Krishna in a circle and sing songs. The Gopis took much pride in that fact that they were the few who had been bestowed the privilege of dancing with the great savior of mankind. 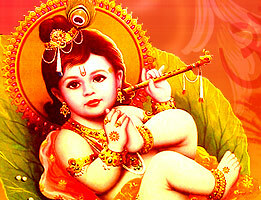 During the act, Krishna often played pranks and disappeared. While rest of the time, Krishna danced with the Gopis, joining palms with each one of them. According to the legend, the demigods Gandharva, Yakshas witnessed the act and threw flowers from the sky, and conferred their blessings upon the Gopis. During the sacred festival of Janmashtami, Rasa Leela is enacted throughout India by professional artists. The themes of the Rasa Leela are the Janamleela (the birth of Lord Krishna), Shanklarleela, Putnaleela (the assassination of the demon Putna) and Nagleela (the killing of serpent Kaliya). Performed since ages, the Rasa Leela is both a source of entertainment and spirituality for the spectators. The phase of Rasa Leela occupies a special significance in the Krishna Bhakti. Some important facts about Krishna rasa Leela have been encompassed in the lines above. Read and learn all about Rasa Leela.